That was musician John Mayer during an onstage interview in Hollywood recently. Mayer has had an interesting history on Twitter. A year ago, there were reports that Mayer and his girlfriend, actress Jennifer Aniston, broke up because he was more interested in tweeting than hanging out with her. Then, this past December, Mayer decided that he needed a break from Twitter (and other social networking services) with his one week “Digital Cleanse.” But he came back, and has since then gained some 500,000 new followers, pushing him past 3.2 million, and making him one of the most followed people on the service (he’s only about 500,000 followers behind President Obama). His personal Tumblr blog is also called One Forty Plus, clearly in reference to Twitter’s character limitation. Now, apparently, he’s done. His account shows that he hasn’t tweeted in a week, and he apparently said on stage, “Within in the last couple weeks, every night I think about canceling my Twitter account because I think it’s pretty much done,” reports omg! News. That’s fine, celebrities cancel their accounts, or at least say they’re going to cancel their accounts, all the time. But Mayer is taking it a step further by ripping into Twitter as a service. “I would rather see Twitter be a cork board of links to other more important things, because it’s really sort of flawed from the beginning. 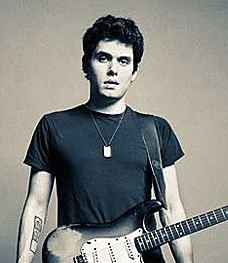 I can’t tell you how many times I meet people or I’m having dinner with people who write stuff and they get upset they have haters now, like, ‘Why do I want to invent more reasons to have haters?’,” Mayer continued in his onstage interview. Oh yes, the old “haters” argument. “I might as well spend that time making a sandwich or building a model ship or something,” he went on. Kidding aside, Mayer’s point is that Twitter (at least for him — and probably many other celebrities) has too much incoming hatred mixed with outgoing over-sharing. Nine Inch Nails’ Trent Reznor terminated his account after sharing similar thoughts about the service last year (but has since brought it back in a more limited form). Kanye West also had similar complaints, or something, it’s hard to know what he was saying here. Anyway, go make that sandwich, John, we’ll put Twitter on Deadpool watch. Just don’t tell Hugo it’s over.